This painting is part of Ting Yuen’s Sprit Animal Series. 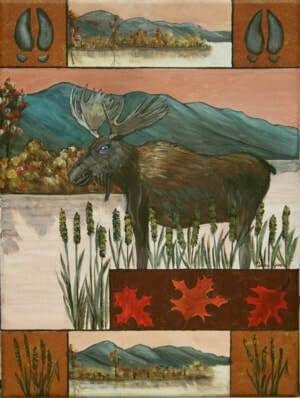 If the moose is your chosen spirit animal, your strength is knowing exactly who you are and what you want in life. You always stay true to yourself and you let your integrity guide you in your life decisions. You move through life with pride and authority.